I enjoyed listening to this on boxing day. It was a retelling of the weird old story of the Pied Piper of Hamelin. As legends go, it is one of the strangest- you can feel in it the depths of some kind of tragedy that was the origin of the myth. The earliest mention of the story seems to have been on a stained glass window placed in the Church of Hamelin c. 1300. The window was described in several accounts between the 14th century and the 17th century. It was destroyed in 1660. Based on the surviving descriptions, a modern reconstruction of the window has been created by Hans Dobbertin (historian). 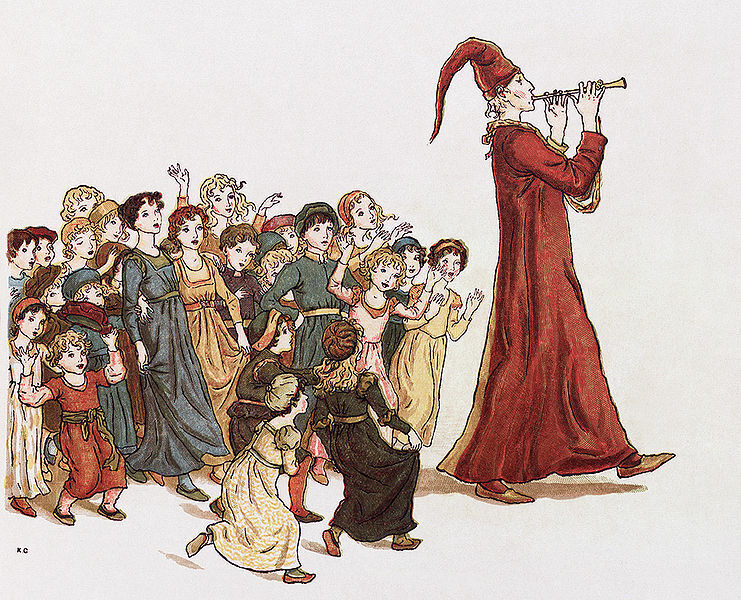 It features the colorful figure of the Pied Piper and several figures of children dressed in white. It is 100 years since our children left. What dreadful events were being described no-one knows. A mass drowning in a river? Plague? Mass emigration to avoid famine? Lured away be a pagan sect into the dark forest? Whatever the origin, at some point, the legend began to be told in the form we receive today- a magical figure on which we can project all sorts of fears- the Pied Piper who leads children on some terrible dance of death. All except one, who lives a life of regret that he could not have disappeared with his friends to the whatever land they travelled to. Anyway- as I listened to this, it appeared to me to carry a current resonance, and I started to write. The was a time when the city prospered. Ships flooded the dockyards with spice and sandalwood from the far reach of the arm of Empire. Old men were cushioned by safe investments and young men were well oiled cogs in an industrial machine whose engines never stopped. After lives spent accumulating, some sought to leave a legacy in stone- museums, galleries and monuments to their own magnificence. And on the fat of it all we feasted. Even as others far away slaved in chains and died young in the service of our comfort. We had so much that what we had started to mean nothing. We filled our dustbins and our landfill sites with food we could not eat and clothes of last years colour. Meanwhile we wanted more more more. More gadgets. More cars. Bigger houses. Faster food. Soon not even the rubbish dumps could contain all that we threw away. Then there came a time when it all started to go wrong. They were in the warehouses, in the store rooms and scurrying under the tables of all the restaurants. They were under the floorboards and in the kitchen cupboards. They stripped bare the sofas then started on the insulated cables. In the attempt to get rid of all these rats, no effort was spared. Men in clean overalls poisoned, trapped, shot and burned them in their thousands. But it seemed to make no difference- if anything their numbers increased. So from all over the country they came. Then from all over the world. Scientists with genetic theories and chemical potions and tiny cameras on the end of flexible rods. Commercial pest control companies with an army of men and women prepared to go further than ever before- into the slimiest sewer and the darkest cellar. They dug and shot and stabbed and burned in every corner of the city. Religious nuts who cried to us all to ‘Repent’ so that God would have mercy on the sinners of the City and take back the plague from the unrighteous. So that he would let his people go. Mad inventors employed light beams and sound waves and all sorts of machines that whirred and clicked and rattled. All failed to make any appreciable difference on the number of rats. At night, the noise they made kept us all awake- the scurrying and the scratching. The passage of a million claws in and round and over. As their numbers grew they were bolder in their hunger. They no longer stayed hidden in the dark places- they were in the corners of rooms, watching, waiting for an opportunity to pounce. There were stories of faces bitten whist people lay abed, and children running screaming for protection. Everything was affected- schools closed, hospitals were under siege. 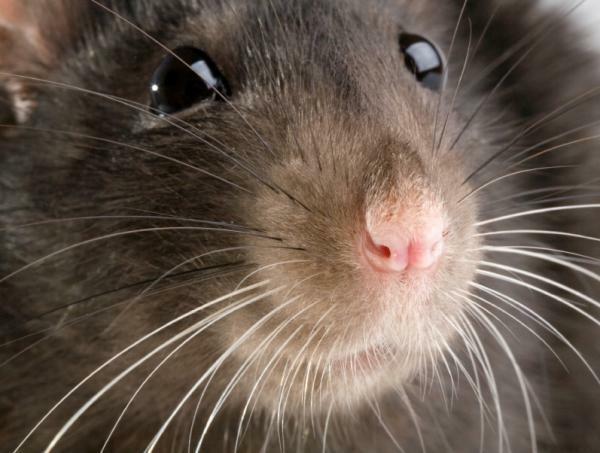 Factories were clogged with fur and the flesh of the rats and places of business were eaten full of holes. The dockyard cranes rusted on their rails from under use- no captain wanted to take on this kind of cargo. The stories spread like wildfire- they were twittered and blogged and gossiped in the bars and pubs. Anger grew- something must be done. The fat cats in the town hall did not have to live like this- they had protection. Rather than spending money on fancy cars and big salaries- they ought to be looking after the citizens. Some fed these stories into megaphones of their own particular cause and began to stir up violence. Windows in the town hall were smashed and slogans written on walls. The response from the authorities was predictable- first police in riot gear, later the army. Finally, when the numbers on the streets seemed almost as numerous as the rats, the tanks were called in to stem this new vermin from smashing and looting and burning. This entry was posted in Uncategorized and tagged Capitalism, myths, pied piper of hamlin, rats, story by Chris Goan. Bookmark the permalink.